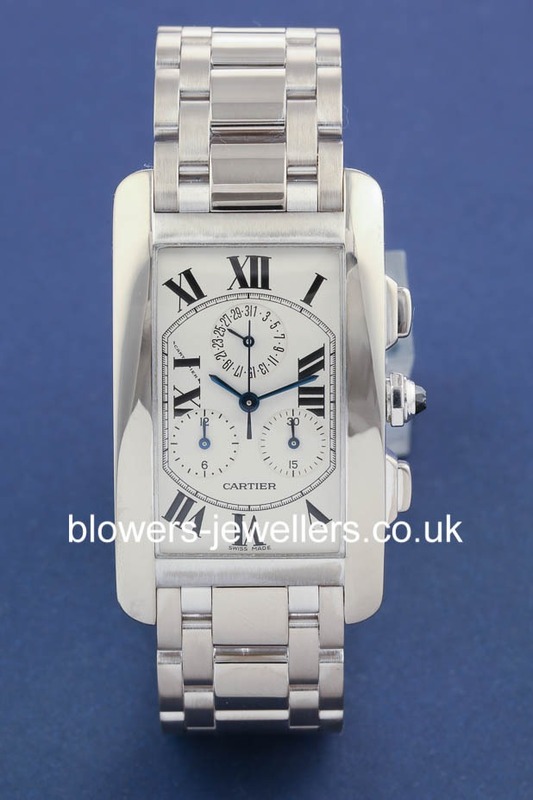 Gents 18ct White Gold Cartier Tank Americaine Chronograph W26033L1. 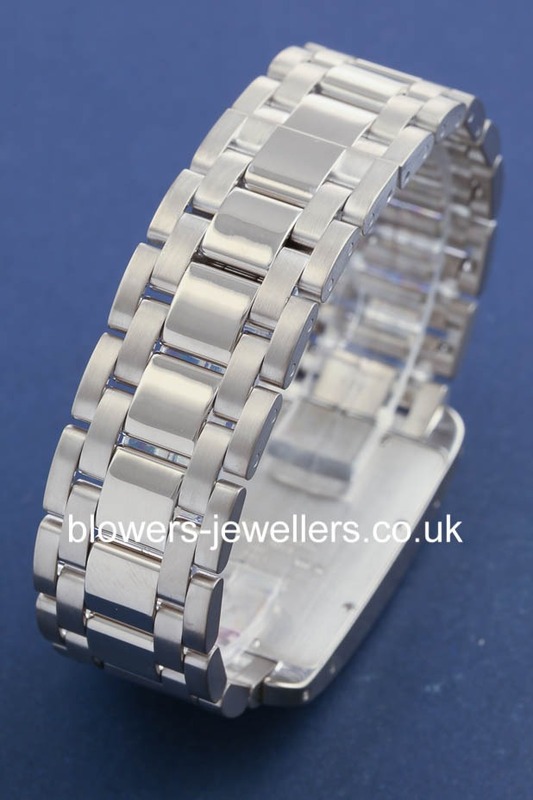 Case 28mm x 45mm. Chronoreflex movement with chronograph functions. Water resistant to 30 meters. 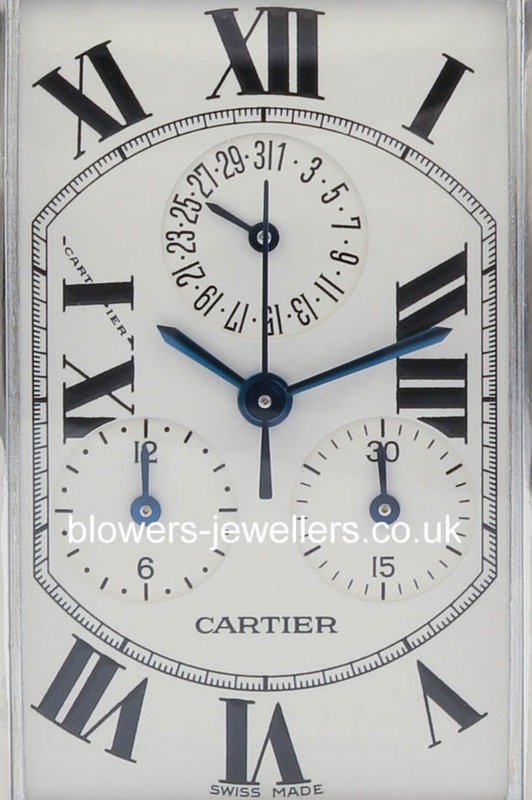 White dial with Roman numeral hour markers. Date display at 12 position, 30 minute counter between 3 and 4 o’clock, 12 hour counter between 8 and 9 o’clock. Cabochon sapphire crown. 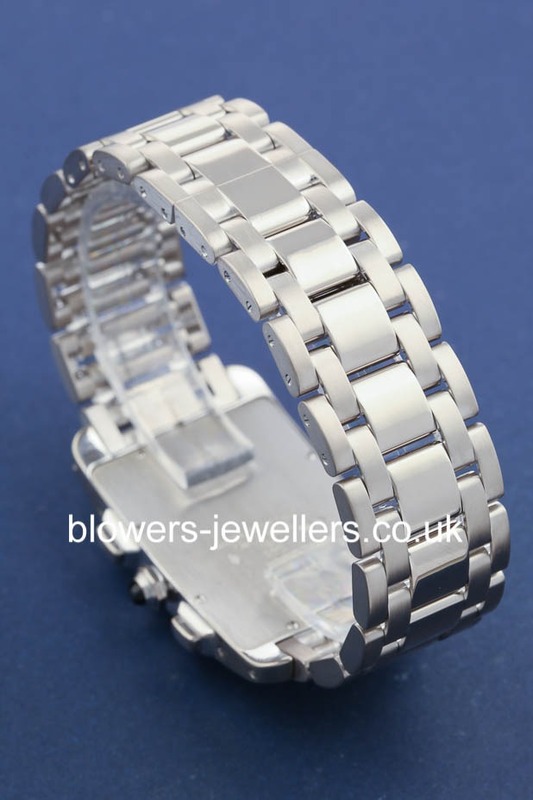 18ct white gold bracelet with folding clasp. Box and papers dated December 1999. 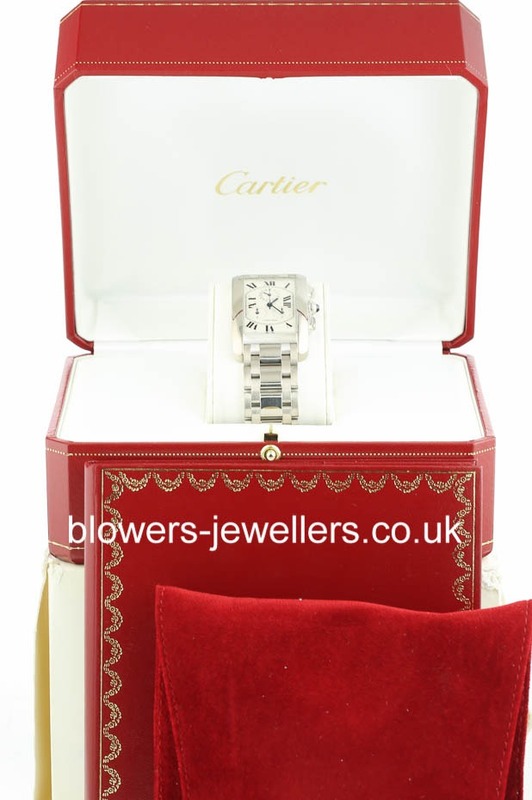 Cartier service January 2016. 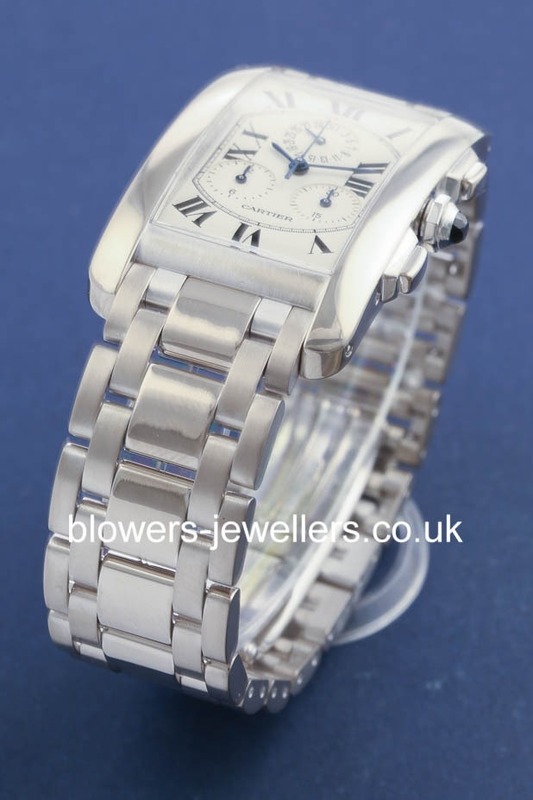 Our reference S19636. SKU: 3012152. 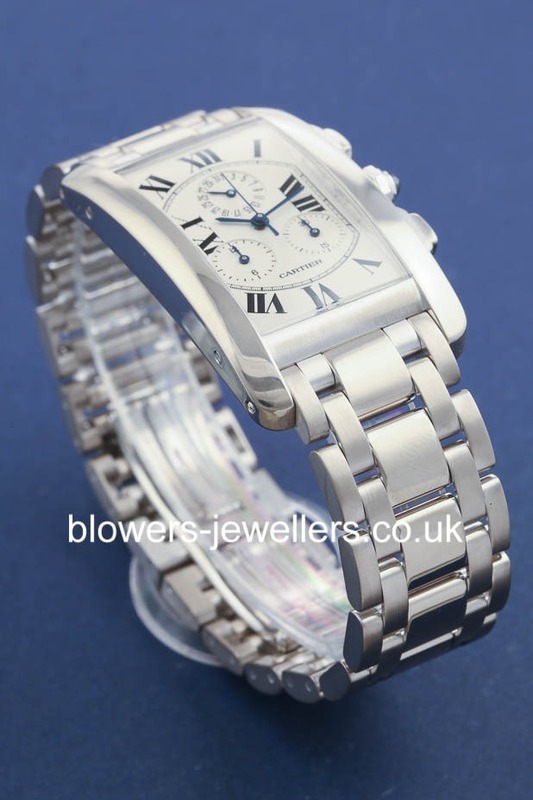 Categories: Americaine, Cartier.